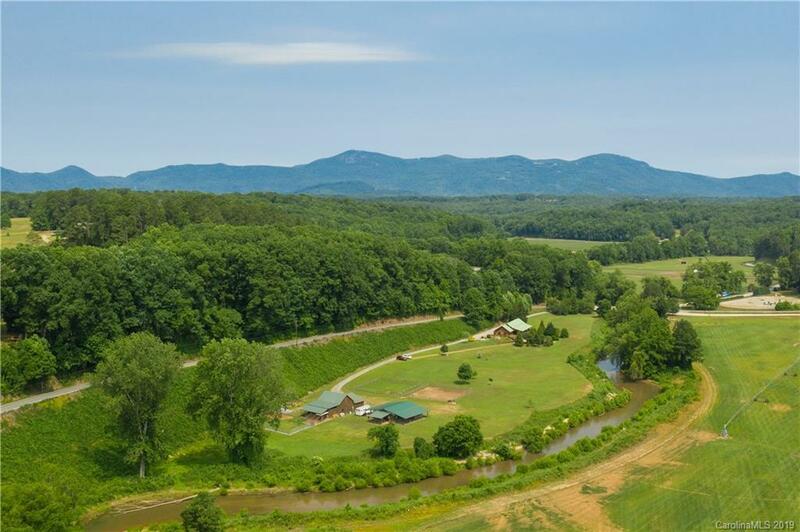 Starting Point Farm sits along the banks of the North Pacolet River with FETA access. The log home, built in 1995, has an open floor plan on the main level with a chef's kitchen, 2 bedrooms and 2 bathrooms. Also on the main level is a separate office/quest quarters with a full bath which provides added privacy for your quests. The expansive newly refurbished deck overlooks the in-ground pool, the river and a lush sod farm. The lower level contains a large family room with access to the lower patio and pool. The rest of the lower level includes a Den, Bedroom and Bathroom. The property contains 8.07 acres, 4 stall barn with a tack room, office, wash rack with H/C water, hay storage, chicken coop & pastures. A separate 1060 sq ft workshop with heatair & covered storage on 3 sides. Starting Point Farm is the perfect mini-farm in the coveted Hunting Country area of Tryon.